Our Expert Team Will Help Keep You Safe on the Road. Get your discount MOT now. Getting an MOT is one of those things that most people dread. Your car means a lot to you and it’s important to find a garage that you can trust. Somewhere that will make the process quick and easy. Somewhere that is completely open about their costs and will finish the job to the very highest standard. and more, taking both the hassle and the cost out of this yearly chore and getting you back on the road as soon as possible. 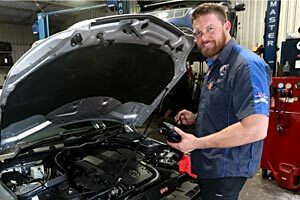 Our garage is equipped with the latest diagnostic and repair equipment and staffed by a team of expert mechanics and technicians with decades of experience, dedicated to providing the best service they can and getting you back on the road in a fully certified, fully serviced car as quickly and inexpensively as possible! 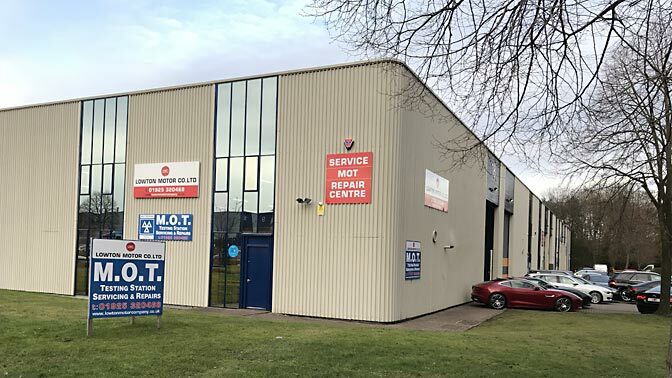 Established over 25 years’ ago, Lowton Motor Company has acquired substantial experience when it comes to car servicing and MOTs in Birchwood. You could say we are a bit of an expert in this area. Whatever problems you may have been having with your car, we’re here to help! We have a fantastic team of staff, including highly knowledgeable mechanics and experienced technicians. Our garage is also fully equipped with the latest diagnostic and repair equipment, meaning that all necessary servicing or repairs can be performed quickly and professionally in-house. Lowton Motor Company prides itself on being 100% transparent when it comes to cost. If you’re looking for a cheap MOT in Birchwood, you can rest assured that all of our work comes with a detailed breakdown of charges - we explain exactly what you have been charged for and why. Customer service is important to us and we always strive to go the extra mile, using only dealer-approved parts, offering a free pick-up/drop-off service and also a free re-test when necessary. Our ultimate goal is to provide hassle-free and cheap MOTs, getting you into a fully-serviced and fully-certified car, without having to compromise on quality! Very pleased with the level of service I received from lowton motors. I will definetly use them again. No-nonsense MOT, in and out same day. All good. I needed a last minute MOT for my X6 4.0D and Rob on the garage MOT side of the business fitted me at the 11th hour. I have never used this business to service or MOT any of my vehicles but I would travel from my home in Crosby to obtain such a great, professional and helpful service. Absolutely brilliant, fantastic and friendly service. The prices are very competitive and the gentleman that looked after me Robert was very knowledgeable and helpful. They are a bit hidden away but definitely worth a look. Great service provided for our company vehicles. Friendly team with good rates and quick turn round. Highly recommended. Excellent friendly service. Urgently needed an mot but had to work. Gave me use of a courtesy car on the spot, picked it back up after work. Would definitely use again. Top notch. Great choice of cars and friendly service.